How to Sell Your Brand To Online Retail Channels. Insights and tips for suppliers looking to sell their brands to online retail partners. On the business end of it, online retail channels can be a bit tricky to navigate. Updating your marketing strategy, creating an attractive local online retail website and successfully partnering with new online retail partners takes a certain type of savvy that is new to many traditional beverage owners and operators. It's not just about starting a wine club, but it's not rocket science either. Let's take a look at some of the key aspects of tapping into online retail channels. 1. Create an appealing online store. Create a Wine Club, Drinks Club or VIP Members club. Taking the time to design an attractive online retail section to your website will benefit your sales in the long run, but don't think things will change overnight - it will take a lot of hard work. 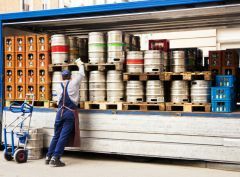 You will need to really look at your bottom line and find ways to encourage your customers to order directly from your brewery, winery or distillery. The more design you put into your online store and the better the deals you give your customers, the easier it will be for you to boost those sales figures. You can offer sign-up incentives, stock clearances, exclusive deals or whatever other deals you think will spawn a new generation of loyal custumers. The trick is to give them every reason to believe that being a part of your VIP club will yield them amazing deals they won't find anywhere else. Use your online retail store like a promotion hub. Have all of your best deals on offer and front and center. Choose interesting bottles and use them in exclusive offerings to give your visitors every reason to buy your beverages. Online buyers are looking for the next best deal, so have one available for them on every visit. Providing them with multiple offers is also a great way to get the customer's that are still on the fence about ordering to convert to buyers. Nothing irritates an online consumer more than having to fill lengthy information forms while going through multiple check out pages. Take the time to design your call-to-actions as a simple process that only takes a few moments to complete. The less clicks consumers need to do, the faster the process and the easier it is for both you to complete the deal and for your customers to get the bargain they were looking for. Another big turn-off consumers have with buying online is getting stuck with massive shipping costs. Negotiate with local and international logistics companies and hammer out a deal that won't stick your customers with the shipping fees and won't break your bank either. Once you've got a good deal in place you can actively start advertising the fact that all orders have free shipping – a great selling point for any online consumer. Use Social Media Today's tech minded consumer base love using social media to talk about the different deals and interesting purchases they've recently been on the winning-end of. Give them every chance to gain access to your different platforms so that they can relate the shopping tendencies they have on your website to other fans and friends. You can also post various deals strategically by offering discounts and incentives to your fans for engaging in your community. The power of social, word-of-mouth, marketing is continually getting stronger, so be sure to use the voice of your social media followers accordingly. Also, use your new found digital swagger and come up with some great SEO landing page titles to attract attention to your online retail store. If you can convince casual online browsers to visit your online retail store with a simple page title, chances are you can convince them to buy one of your great bottle promotions! This will increase your visibility to a whole new level of consumers and help boost your sales. Partnering with established online retailers that have an existing large consumer base is a great way to gain new customers. Use promotions and great deals to get buyers to try your beverages and hopefully convert them into long term consumers. Giving online retailers the go ahead on some really great deals will dramatically help you gain new consumers. 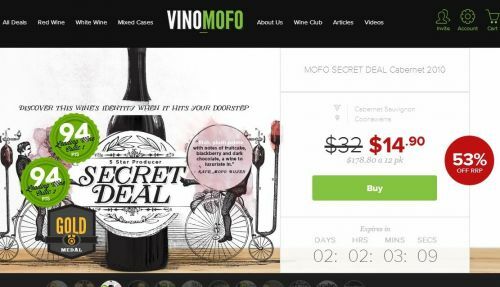 Vinomofo is an online retailer designed to appeal to online buyer's curiosity. Use online retail partners to promote your brands and boost your sales. Let's see what one of the most successful online retailers in Australia has to say about what it takes to be successful in online sales. BTN interviews Andre Eikmeier, the co-founder and CEO of Australian online wine retailers Vinomofo, on how to sell your wine online. 1. Some suppliers are sorely surprised that an online sales department doesn't dramatically boost their sales right away - what tips can you give wineries that will help them develop their online position? You have to be where the people are! Think of your website as a cellar door in the middle of a vast and remote desert. People won't stumble upon you, unless they are directly seeking you out. You have to figure out how you are going to drive traffic to your website or sell online via someone who already has a large audience. If you've already built your 'cellar door' then you need to start putting up signs and spread the word. Use social media, use inbound marketing, use Linkedin, use your tasting room, start networking, use traditional marketing – start talking about your new online retail options on every outlet possible. 2. How can suppliers best take advantage of the online retail distribution chain? Well, it's all about reaching new audiences, isn't it. Find online channels that can really tell your story, as well as sell your wines. Start communicating with online retail store management. Going direct to online retailers, ie skipping distributors and any other unnecessary middlemen, can this free up margin that consumers can save on and hopefully you as a producer can gain a little from. Find out what it is that these online retailers are looking for in a new partnership and model your sales call around the feedback you've received. 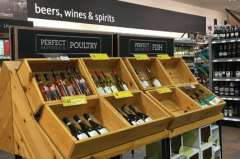 The more you understand the needs of an online retailer the easier it will be for you to get your wines listed on their 'Best Seller' and “Deal of the Day' lists. You can also use the information you gather to engineer your own online retail store into a sales machine. Use promotions and as many online channels as you can to generate traffic and sales. 3. Can you give some tips to wineries looking to sell their wines with retail online partners (ways to get partners interested/keep good relations? It's pretty simple, retailers want good wines with a story that is easy to sell. So, make good wine! The best thing you can do is build demand for your products - awards, points, medals, fan base, etc. (whether you agree with it or not). These accolades are very important reassurances for consumers and online retailers are always keen on wines that can sell themselves. Ultimately, if you make good wine, you should be working with retailers whose customers know that what they order off of their sites will follow a certain standard. 4. Would you recommend discounting/combos to get buyers interested - does this translate into return buyers? Promotions work! If they are fast and furious, then you'll minimize the change in perception of value from your market. Someone will simply have scored an awesome deal on a great wine and will be very pleased with themselves. I can only speak for us, but our producers get return buyers and new loyal customers through our audience by simply offering up a great deal to get the ball rolling. It really depends on how much you want to get into the hands of customers at the best market price. The other strategy is to get tens of thousands of bottles into their hands with a sharper value proposition. 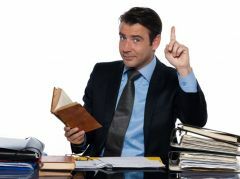 You need to know what you want to achieve with your promotion. 5. What other sales techniques translate well to the online marketplace? You've got to make it compelling enough for someone to not want to miss out! A lot of consumers look at the online retail market as a place to find great deals – a much better offer than their local stores can dream of giving them. You'll need to convince your consumers that your offer is exclusive to them, that they'll only have a short window of opportunity for the deal and they'll be saving a bundle if they order your wine online. You need to tap into the psyche of the online consumer and play their game. The better you can make your deal seem, the more online costumers you'll convert. In his Coaching Session Brian will be focusing on how to know, nurture and service your accounts to increase velocity and boost your bottom line. Here are some tips for you to position your products in the best possible way and some insights on how it will work well for your accounts and for you.